There are many things to consider when going through a replacement window upgrade. The main things you should consider when embarking on this adventure are the size, shape, and energy efficiency rating of any windows you’re considering. However, there are quite a few other, lesser-known factors that you might want to take into account before making your final decision. Below are a few other factors we at Texas Home Improvement think are equally as important and offered by our favorite window supplier Anlin. Whether it’s from the noisy dog next door, the airplanes flying overhead, or the traffic on the nearby road – unwelcomed, unpleasant noise is always an annoyance. Find a window that doesn’t let more sound in but works to keep sound out. Anlin replacement windows have an optional and sophisticated sound suppression technology engineered to reduce exterior noise, making your home a quieter, more comfortable place to live. Click here to see and hear the difference. A good night’s sleep doesn’t rely on sound suppression alone. Safety concerns can keep you up at night too, so find a window that cuts down the sound and locks tight. Although no window is 100% impenetrable, California has a Forced Entry test that measures a window’s ability to stay locked and closed under extreme pressure. Anlin voluntarily submits their windows to this pass-or-fail test to help ensure their customers that their windows aren’t simply well-made but safe for their family. When you want to open your windows to let in fresh air or maybe remove the screen to clean your windows make sure your windows work with you not against you. Find a window that has long lasting and well designed rolling slides along with a sturdy screen frame, but allows for quick and painless removal. Anlin has sturdy aluminum frames with built-in rails for quick and painless screen management. Nobody wants to buy a product, have an issue and then pay more money for a fix. Anlin windows offers a double lifetime warranty. For as long as the original buyer is in the house, a lifetime warranty is guaranteed but, to go above and beyond, Anlin allows that lifetime warranty to be transferred on to the next owner for the entirety of their time in the house. 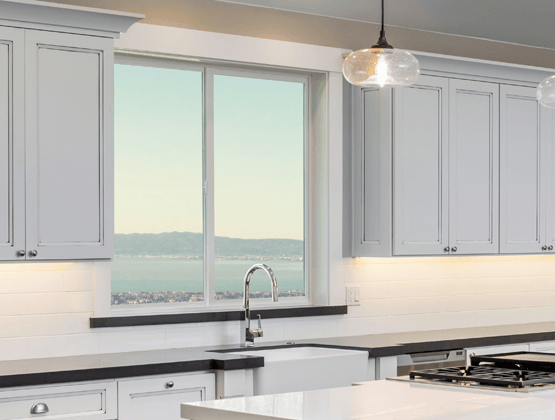 While energy efficiency and design will most likely be the main things that draw your eye when searching for replacement windows don’t forget to take into these four helpful factors and more. If you ever get overwhelmed or can’t figure out where to start, call Texas Home Improvement today for help, we can take you from window shopping, all the way through new window installation or window replacement all over Texas!